Originally intended as a replacement for serial and parallel connections on a PC to connect mice, keyboards and printers. Universal Serial Bus has grown to become a common interface in many embedded industrial, medical, automotive, and consumer applications. 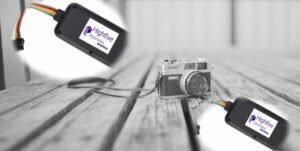 Highfive Electronics USB solutions are designed to support the growing needs of these markets with a full complement of robust, highly integrated USB MCUs and DSCs, and USB Hubs and Devices. Contact sales department for catalogue.